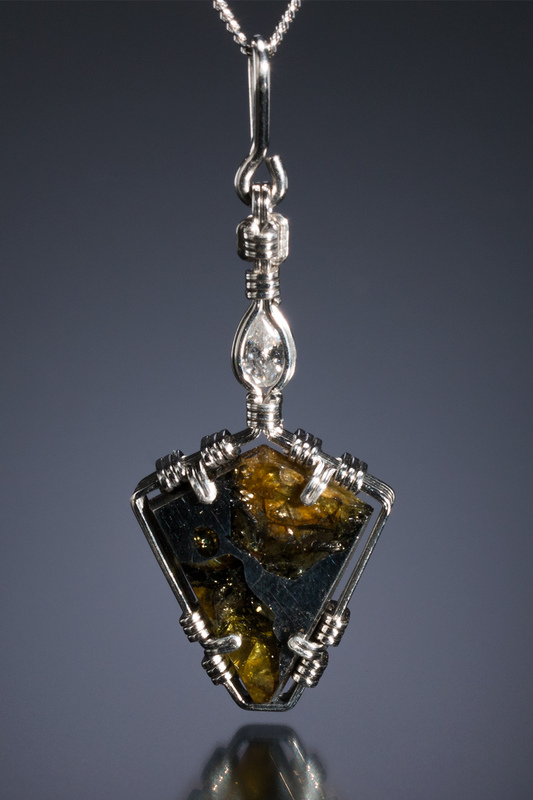 This piece contains a piece of the famous Esquel pallasite, a meteorite that fell to earth high in the Argentinian mountains. 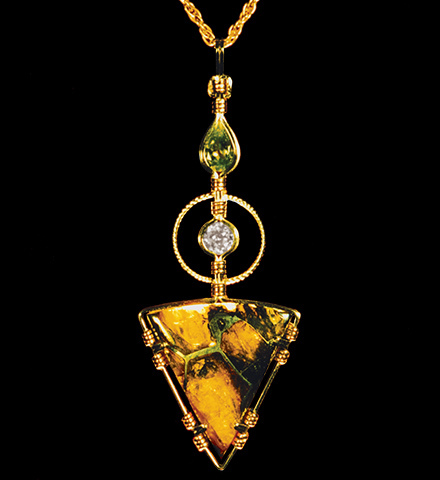 The pallasites love to be paired with diamonds. 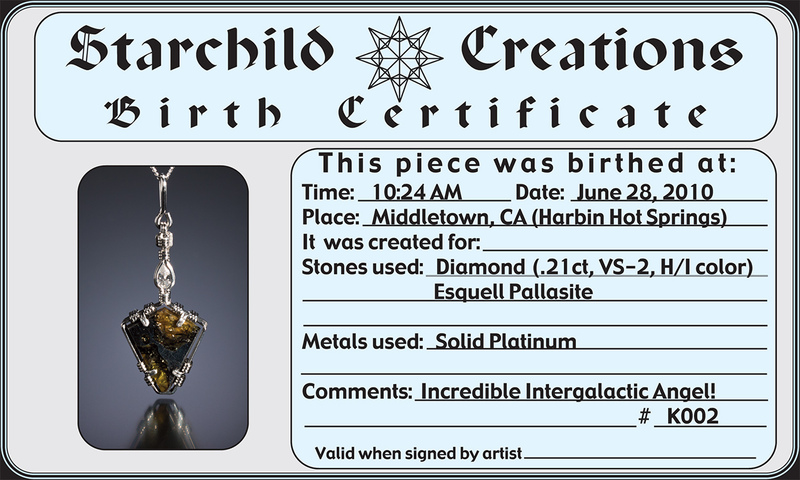 Add the Platinum,(one of the highest vibrational metals) which totally turn on the pallasites, and you have an intergalactic talisman that is ready to take you traveling.